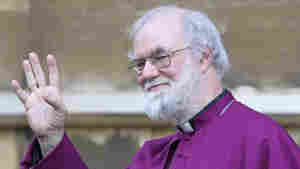 March 16, 2012  Rowan Williams, the spiritual leader for more than 70 million Anglicans around the world, announced today that he will leave at the end of the year to become Master of Magdalene College at Cambridge University. He has been archbishop since 2002. March 15, 2012  "I did the only thing a faithful Catholic priest could do in such an awkward situation, quietly, with no intention to hurt or embarrass," Rev. Marcel Guarnizo says of the much-discussed incident. 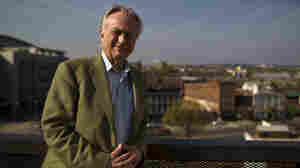 The woman's family is said to be "livid." 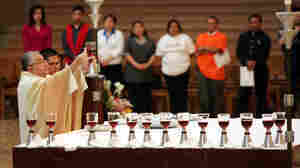 February 29, 2012  According to Catholic Church policy, those considered to be "sinners" should be treated with dignity and should not be denied Communion in a public setting. Barbara Johnson was at her mother's funeral when a priest refused her that sacrament. 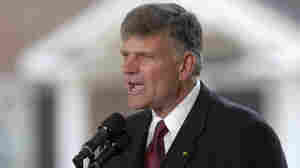 February 29, 2012  One week after saying "you'll have to ask President Obama" when asked if he believes the president is a Christian, Graham has said he regrets "any comments I have ever made which may have cast any doubt on the personal faith of our president." January 4, 2012  A Catholic bishop in California has resigned his post after revealing in December that he has two teenage children, who live in another state. July 12, 2011  India's gurus are often compared to America's televangelists, as they adopt electronic media to widen their base of followers and build a powerful organization. For instance, Yoga guru Baba Ramdev's TV broadcasts reportedly draw audiences of some 30 million. 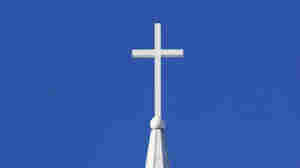 December 15, 2010  Doctors now study the effects of religion on the brain -- an area called neurotheology. 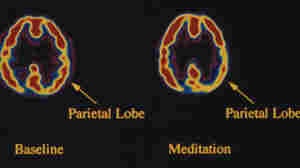 Researchers, such as Andrew Newberg, author of "Principles of Neurotheology," discovered that parts of the brain act differently when people meditate or pray.